From mild to wild, contact us with your paddling needs and let us create a personalized lesson, tour, or adventure for you. 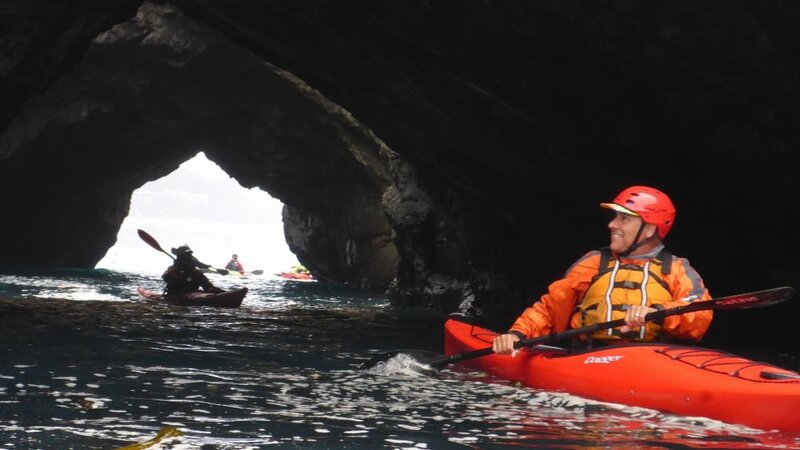 From basic strokes on flat water to rolling, sea kayak touring, whitewater kayaking, and surf kayaking, we can create a custom lesson or tour for individuals or groups - here on the Mendocino Coast or in your local waters. Please contact us for groups larger than 5. Pricing is based on instruction on the Mendocino Coast and participants using their own equipment. Kayak rentals are $50/day and gear rentals (wetsuit/splashtop/helmet/boots) are $10/day.